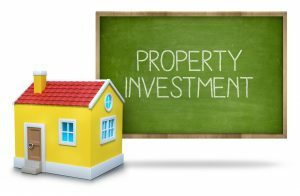 Mortgage REIT – These REITs invest in mortgages and can purchase mortgages, loan property owners money for mortgages, or can purchase securities that are backed by mortgages. Equity REIT – These REITs invest in the properties themselves and commonly make profits from leasing property or selling property holdings. This is the most common type of REIT. Hybrid REIT – These REITs invest in mortgages and properties. In addition, REITs may be publically registered with the SEC or may be private, and shares may be purchased through mutual funds or on the open exchange. Some REITs invest in diverse properties while others focus on a specific region or a specific type of property – such as shopping centers. Overall, REIT investments can result in liquid returns without having to put up the capital to purchase real property. While REITs can be lucrative business opportunities, there are also many laws with which an REIT must comply. If you would like to learn more about REITs or need assistance with one, please do not hesitate to call the skilled San Jose business attorneys at Structure Law Group, LLP today.